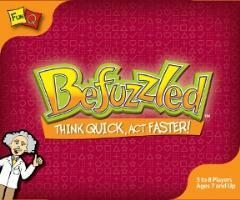 Befuzzled is the exciting game that will have you laughing all night long! Players take turns flipping over cards which show different shapes. Be the first to complete the correct action and you win that card. But watch out - each round shuffles the actions, and their matching shapes!